Alex Monrow Hedgepeth, age 89, of Lawrenceburg, TN passed away Saturday, September 22, 2018 at NHC Healthcare of Scott in Lawrenceburg, TN. He was a native of Lawrence County, TN, and a member of Cloverdale Congregational Methodist Church. 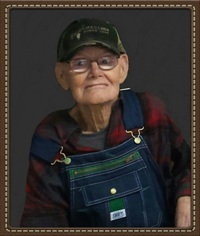 Arrangements are being handled by Neal Funeral Home, 231 N. Military Avenue, Lawrenceburg, Tennessee. The family will receive friends from 11:00 AM to 2:00 PM Tuesday, September 25, 2018 at Neal Funeral Home. Funeral services will be conducted at Neal Funeral Home at 2:00 PM Tuesday, September 25, 2018, with Bill Ingram officiating. Interment will follow at Mars Hill Cemetery in Lawrenceburg, TN.